A Portal to Mystery has solid pacing and a fun mystery angle, but the clumsy use of its cameos and shallower than usual gameplay make it one of the weaker installments of Minecraft: Story Mode. Minecraft: Story Mode‘s latest installment continues down the more self-contained format its predecessor established, as Jesse and their band of fellow adventurers once again journey to another realm for a more compact adventure in A Portal to Mystery. Telltale mixes up the series’ conventions here with a different type of story, as well as some cameos that are the most meta the series has ever gotten. The result is a mixed bag that, while packing enjoyable moments and solid pacing, ends up among the game’s weaker episodes. Jesse and companions Ivor, Petra and Lukas continue hopping through dimensional portals in hopes of returning to their homeworld, this time finding themselves in a realm overrun by zombies, but not before discovering an odd invitation requesting their company at a nearby mansion. Once there, they find that several other people have also been invited, but it quickly becomes apparent that their host, a masked figure called the White Pumpkin, has trapped them there for sinister purposes. As a body count starts to rise, Jesse decides to play detective and investigate both the environments and the new acquaintances, with the end goal being to unmask the White Pumpkin and stop their schemes. 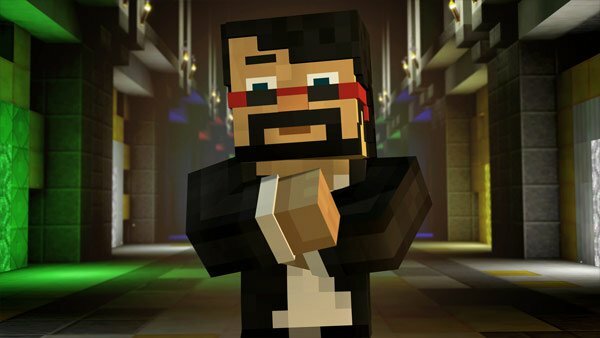 The big draw here for many Minecraft fans will be that most of the new characters are voiced by, named after, and modeled after prominent YouTube personalities well known for playing the game. These include Stampy Cat, Stacy Plays, DanTDM, LDShadowLady, and CaptainSparklez. 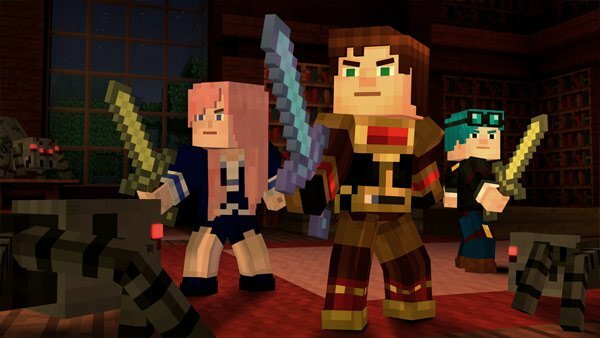 As someone generally disinterested in the Let’s Play scene and with no major Minecraft experience outside of Story Mode, I was both curious and a bit skeptical as to how these real-life figures would be implemented, and for outsiders, I think the execution leaves something to be desired. While the characters provide some funny moments, and thankfully do a generally good job with their voice acting, we don’t get to know them very well. The game also never truly establishes what their role is in Story Mode‘s world. When CaptainSparklez was the first one I met, I jumped at having Jesse ask who this stranger was supposed to be, but his answer of, “You haven’t heard of me? I’ve got 9 million fans,” just made things more confusing. I don’t know if they’re supposed to be the real people somehow pulled into the game’s world, or if they have their own backstories unique to Story Mode, or some odd mixture of the two. For a company that prides themselves on strong characterization, Telltale seems to have favored name recognition above all else here. While I’m sure fans of these channels will geek out seeing their favorite YouTubers as in-game characters, those unfamiliar with these people will likely feel underwhelmed by them. The actual story feels a bit limited by this caveat, as well. The scope feels much more limited due to spending most of the episode stuck in the mansion, and unlike previous episodes, Jesse and company generally don’t get any good moments together. The twist regarding the White Pumpkin’s identity isn’t super impressive, either, though admittedly I didn’t guess it in advance. The way the episode handles character deaths is also quite odd. Whenever one of the guest characters is killed off, characters briefly react with surprise and unhappiness, but each one feels quickly brushed aside and inconsequential. Earlier episodes made a pretty big deal of the few instances when an ally met their end, so to have death come off more like an inconvenience here feels jarring. On the upside, the episode never feels like it’s losing momemtum throughout its hour and 40 minute runtime, even when the pace slows to investigate areas. The fight that closes the episode is also one of the most entertaining in the series thus far, and there are a handful of very funny moments sprinkled throughout; I’d argue that the last line uttered by the first victim in the mansion is one of the biggest laughs of the series so far. Though the mystery angle A Portal to Mystery adopts is fun, the gameplay doesn’t take much advantage of it. Interrogations simply revolve around you picking preset dialog choices and moving on to the next scene, and the few puzzles there are feel overly simplifed compared to previous episodes. The various branching choices apparently can affect the fates of certain guest stars, though it feels inconsequential since they’re unlikely to appear again anyways. In terms of presentation, the series has seen a change in its music composer, which unfortunately results in a much more generic and forgettable score than the first several episodes. Technical performance on the Xbox One version is also more iffy than the last installment, with framerate problems and graphical glitches popping up fairly regularly. Though I’ve spent the majority of this review discussing the flaws within A Portal to Mystery, I still had a decent time with the episode overall, and Minecraft fans who love watching YouTube videos will get an extra kick out of seeing some familiar faces. Ultimately, though, this joins the second episode in being one of the weakest installments of the series so far. 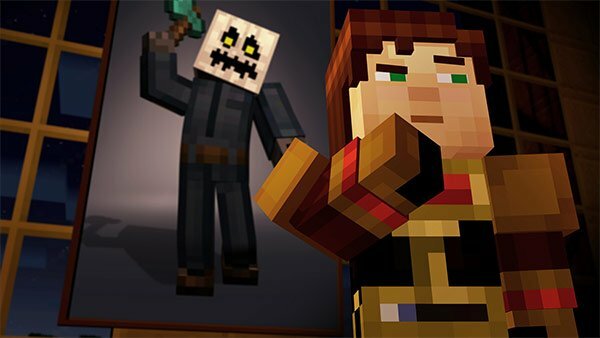 Assuming Telltale doesn’t rely so much on cameos in the remaining two episodes, I think Minecraft: Story Mode can easily rebound, but we’ll have to wait and see what the developer has planned for the last two episodes before making any assumptions. This review is based on the Xbox One version, which was provided to us.